and provides excellent overall conditioning along with great discipline, flexibility, focus and can be enjoyed by people of all ages and fitness levels. 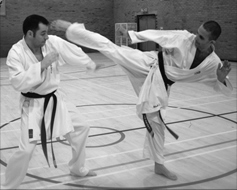 FightingFit Personal Training and Sutton Coldfield Shukokai Karate gives you the opportunity to train one to one or in a small group with one of the countries leading 5th Dan Black Belt Karate Instructors. 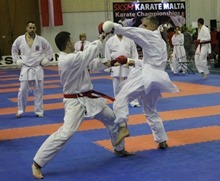 Jason first discovered Shukokai Karate in 1989 after watching a demonstration. The demonstration impressed Jason with the speed and power that was created with kicks and punches. Jason worked hard for the next few years and had great success competing at national competitions. He was rewarded with a place on the British Squad for the 1992 World Championships in Portugal. Jason was then awarded his Black Belt by Sensei Kimura 8th Dan at the World Championships after reaching the quarter final stage in the individual kumite and being part of the mens Gold medal squad. He then went on to represent Great Britain at the next World Championships in the U.S.A, again Jason reached the quarter final stage and received a Silver medal in the mens team event. Jason was awarded his 2nd Dan in 1995, 3rd Dan in 2001, 4th Dan in 2006, 5th Dan in 2011 and awarded the rank of 6th Dan in 2018. 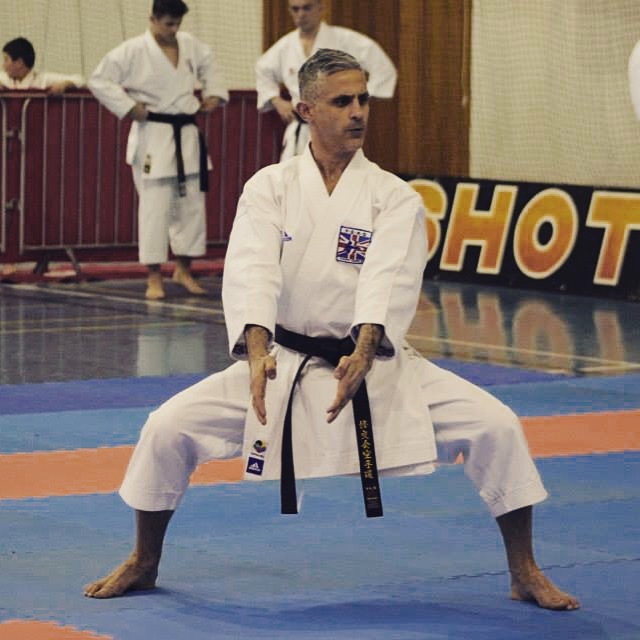 Jason is Instructor of Sutton Coldfield Shukokai Karate, Chief Instructor & Chairman of Shukokai Kobudokai Karate Association (S.K.K.A) with over 200 members and has coached at both National & International level. Jason continues to study Karate under the watchful eyes of the worlds top instructors such as Wayne Otto, Junior Leverve & Sensei Oshita 8th Dan Hanshi. If you are looking to simply improve your fitness levels, gain confidence, enter competitions and/or progress towards achieving your black belt,…I can ensure you reach your goals. As well as private “one on one” tuition I also hold group Karate classes see the club information listed on the right. With the “Act of parliament for the protection of children act 1999” Jason Smith has been cleared to work with children by the Criminal Records Bureau. Keep up to date with the latest news; member’s achievements, competitions, new classes etc via social media.